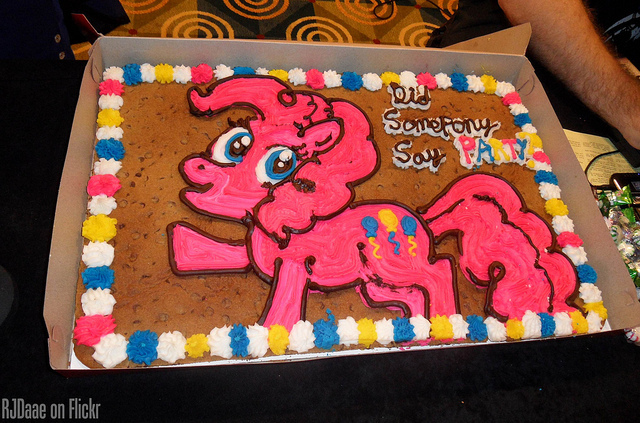 A giant cookie cake decorated with Pinkie Pie from "My Little Pony: Friendship is Magic". Goddang these brony fuckers. I can't figure out if bronies are real or just an elaborate and dedicated joke. Either way, they should be ashamed.